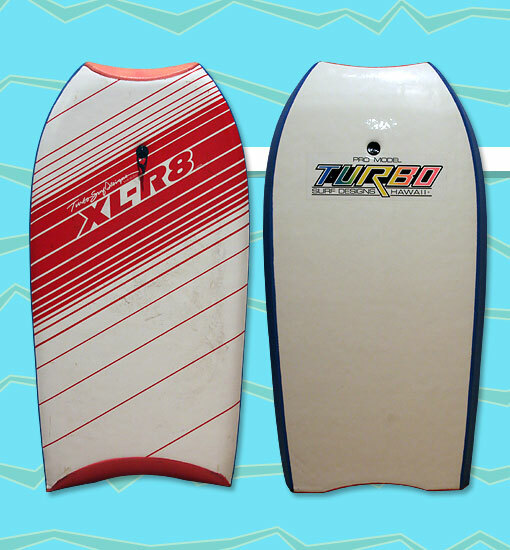 The Turbo XL-R8 was one of the most popular boards from the Turbo line. The most noticeable features of the XL-R8 were eye-catching graphics and a futuristic scoop nose for enhanced grip, but the board also featured a Surlyn bottom and Wavecore core. Like the earlier generation of XL-R8s, this second generation XL-R8 features diagonal stripe graphics. The difference lies in the logo -- the second generation can be distinguished by its enlarged XL-R8 logo.